Get 20% cashback; valid for use during next visit. Lavender Villa & Spa Resort is an exclusive secluded resort consisting of 21 new one-bedroom pool villas with private swimming pools, and 8 comfortable suite cottage rooms. Enjoy the convenience of being a short distance by our shuttle service from the lovely Kuta with its white sandy beach, restaurants, and shops. Our Bali resort is only 5 minutes' walk to Mall Bali Galeria shopping centre, and just 10 minutes from “Ngurah Rai” International Airport. Situated on an exotic area of the famous resort between Denpasar-Kuta-Nusa Dua with a prime location for business and pleasure. 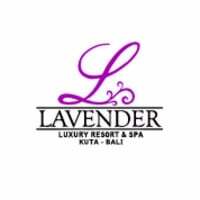 Lavender Villa & Spa offers an ultimate getaway perfect for honeymoon, family and friends. It combines a Balinese traditional touch and modern minimalism luxurious private villas with private pool, elegant bathroom with high pressure of Jacuzzi in bathtub, modern sophisticated shower, a small delicate remote control to operate all lights. Lavender Villa & Spa Resort also offers a spacious private pool villa with Balinese gazebo is well screened and separated from the nearby main building for excellent privacy. Those facilities are really making guest much comfortable and much relaxing in occupying the villa. It is very pleasant place to stay, fully equipped with modern facilities, where you can feel the personal touch and privacy.